Usually, Merriam-Webster dictionaries tend to give you the shortest possible definition of a word. This Pittsburgh Penguins team can’t be defined in such a way. The heart of this team runs through Sidney Crosby and Evgeni Malkin. Watching Sunday’s game, that can’t be denied. Malkin absolutely dominated the latter two periods of that game and Crosby was no slouch either. Goalie Marc-Andre Fleury came in after Matt Murray allowed 3 goals on 21 shots in the opening period. Murray didn’t play bad, with the exception of the second goal, it was the team in front of him. Usually, it’s a note to the players that if the goalie is pulled after 21 shots in a period and the goalie’s play wasn’t that bad, the players better play. Fleury came in and was fantastic. The players responded, too. When the clock reset on period two, this wasn’t the case. They were an inspired team. They were a team that looked like head coach Mike Sullivan had lined them against the wall and took a ping-pong paddle to their behinds. Justin Schultz got the rally started. Malkin fired a power play laser behind Sabres goalie Anders Nilsson who didn’t have himself a bad game. Fleury was on his game. The third period rolled around and the Penguins desperately wanted this game. They fired shot after shot at Nilsson praying something would get behind him. That is when the unthinkable happened. No one is quite sure how it happened. 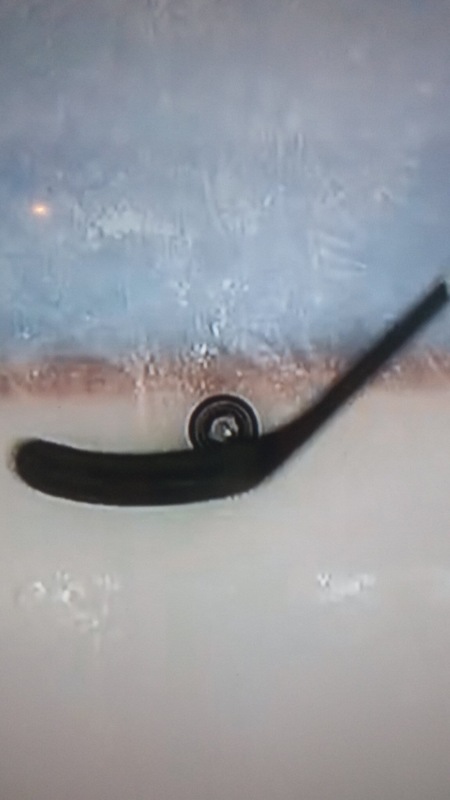 Conor Sheary threw a puck from the blue line off of a Sabres defender and Jake Guentzel tipped a puck from behind his back and dropped it in like a fade away from an NBA player. The goal was reviewed and confirmed by the officials. The score was 3-3. One could get the sense that the game was going to be won by Pittsburgh. Conor Sheary confirmed that suspicion less than a minute later. Enough can’t be said to thank Fleury for mopping up a potential disaster. He made a sequence of saves over the past three minutes as the Penguins spent most of it killing off a Schultz delay of game penalty. “The Flower” was there to bail the Penguins out when they needed it most at the end of the game. This was a classic game where Mike Sullivan’s team overpowered the team that had killed them in the beginning of the game. The last two periods were a prime example of what happens to a team who played the night before and lost a grueling shootout. The fatigue set in and so did the assassin’s mentality of this team we’ve seen so many time before. And that, my fellow Pens fans, is how you define “Pittsburgh Penguins”. Great write-up, Cody. I still believe that Murray is the guy that the Pens will lean on in the playoffs, but I hope Fleury’s performance gets him more ice time. Having Fleury sharp (and happier), as well as motivating Murray to keep his focus, can only help the Pens down the stretch and into the playoffs. Previous Previous post: Stadium Series: Good or Bad?